The guide to creating and growing in a no dig garden, and then preserving and cooking your produce. 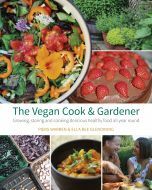 With chapters on compost, setting up your beds, how to sow, grow and harvest at what times, as well as turning produce into food, medicinals and cleaning products. These approaches work as well in small spaces as in large gardens. 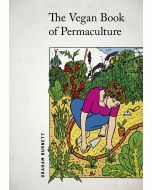 The authors’ combined experience gives you ways of growing, preparing and storing the plants you grow for many uses, including delicious vegetable feasts and many recipes and ideas for increasing self reliance, saving money, living sustainably and enjoying the pleasure of growing your own food, year round. Charles’ advice is distilled from 35 years of growing vegetables intensively and efficiently; he is the acknowledged no dig guru and salad expert both in the UK and internationally. 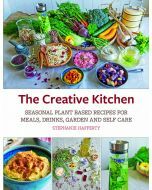 Stephanie, a kitchen gardener, grows in her small, productive home garden and allotment, and creates no dig gardens for restaurants and private estates. She creates delicious seasonal recipes made from the vegetables anyone can grow. She also explains how to use common plants you can grow and forage to make handmade preparations for the home and garden.